This article is designed to help you identify potential nursing home cases by informing you of the relevant laws surrounding these facilities as well as common scenarios triggering skilled nursing facilities. Appropriate medical, psychological, and other relevant care. Dignity and respect in care. Information and a role in all medical decisions. Freedom from neglect and abuse. Process to complain about their care. Ability to handle their own financial decisions. Freedom to hold their own personal items and wear their own clothes. Freedom of religion while under the home’s care. Capability to see visitors, use phones, and check mail. This two-tiered scheme is the structure for all of your Illinois nursing home cases. If you are unclear about any aspect of your case, you should consult these laws. There are a couple of common acts of misconduct committed by nursing homes upon their residents that you should be aware of and when initiating your lawsuit. First of all, you can always bring a claim for medical malpractice for the actual underlying medical malpractice, if any. To read about medical malpractice actions and how you should try them, click here. With the regards to the actual care, there are two more regular claims: abuse and neglect. Federal law actually defines both of them. The Code of Federal Regulations states that abuse is "willful infliction of injury, unreasonable confinement, intimidation or punishment with resulting physical harm, pain or mental anguish," (42 C.F.R. 488.301) and that neglect is "failure to provide goods and services necessary to avoid physical harm, mental anguish or mental illness." (42 C.F.R. 488.301) Abuse can include physical, mental, and even emotional abuse. However, it can also include things you might not have considered such as the use of unapproved medications, false imprisonment (either physically or virtually), and the withholding of food or drink. 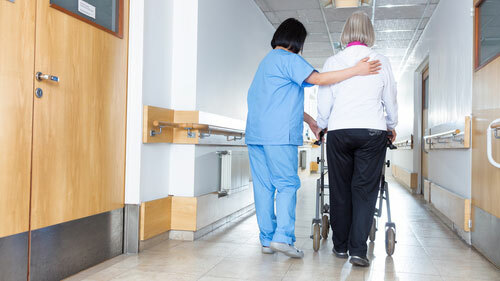 Neglect encompasses the nursing home’s need to adequately give a patient food, water, and medications. However, they also need to be effectively communicate with the resident’s doctors and medical staff about his or her medical condition. If they do not keep them in the loop about the resident’s condition, they can be liable for neglect. To learn more about what exactly these types of cases look like and if you (or someone you know) may have a case against a nursing home, contact us today. We are experienced nursing home attorneys and can guide you through the legal process step-by-step so you are completely informed about your potential recovery.